Why are you afraid to homeschool high school? Ask that question of anyone who hasn’t tried it yet, and you’ll almost always get the same answer: “I’m afraid I won’t prepare my children well enough for college.” It’s a universal fear — and one that I had myself! — but like many of the other things that scare us about homeschooling high school, the angst about college preparation can be easily dealt with. I’m going to come right out and say it: it IS totally possible to be confident that your homeschooled teen is being adequately prepared for college. And it’s not as big a deal as you think. 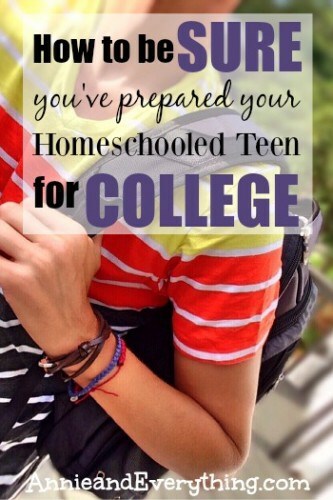 There are a few simple processes you can incorporate into your high school homeschool that will be the best ways to ensure adequate college preparation for your child. 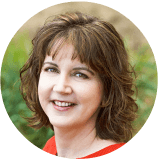 Many of them come naturally to the average, conscientious homeschool parent (which you are, if you are taking the time to read this). In fact, you are probably doing some of them already, even if you’ve gotten no higher than middle school so far. 1) Do your research. Use the internet to find out what colleges require for admission from their high school applicants. I’ve written an entire post on this, so I’m not going to go into detail here. Suffice it to say that this is the first thing we should do when we start even considering homeschooling high school. 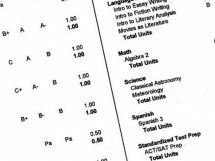 Making sure that your homeschool high school curriculum has enough credits in each subject area to satisfy college admissions officers is a HUGE confidence booster about whether or not we are doing our job of preparing them well. 2) Teach your teen to learn independently. This will probably have been started in middle school (or earlier! ), but if not, now is the time. What this means is guiding your teen to take ownership of learning the content of their courses. In other words, the high school student should be reading the lesson or watching the video and then completing the assignment without relying on you for instruction or explanation. They should be checking their daily work and learning from their mistakes. They should be studying for tests on their own. Your involvement should only be to answer the occasional question and to grade tests and papers. Why is this so important? Because that is what college is. In college your child is given a syllabus and is expected to follow it. He is expected to stay on track with assignments and turn papers in on time. He is expected to seek out help when he doesn’t understand; no one will hold his hand and check in on him. If your teen is in charge of most of their learning while they are in high school and being generally successful, then you can feel certain they are being well prepared for college. 3) Give them a strong language arts foundation. In my opinion, language arts is more important than science or math. Because if the child has good grammar and a wide vocabulary, understands how to read higher level subject matter, and can express himself through speech and writing, then he will be able to read and understand just about anything that is thrown at him in college, including the science and math. The reverse — that the child who can handle high level math will be able to read and understand other subjects — may not be true. All college majors involve using language; not all of them involve math and science. So don’t give up on the grammar just because they are in high school. Encourage reading of all genres. Give them lots of opportunities to write. If your teen is capable of handling the English language well, then you can be confident they will be ready to tackle college coursework. 4) Teach them to manage their time. This is related to #2 but isn’t exactly the same. Sometimes a kid is able to learn independently just fine, but they don’t discipline themselves to do it in a timely fashion. In college they will need to juggle classes, work, sleep, and their burgeoning social life. 🙂 Give them opportunities to practice that now. Give them opportunities to fail at that now. It’s definitely better for them to suffer consequences and learn lessons in time management now at home rather than later at college, when you are spending the big bucks! If you are teaching your teen to be responsible for how they use their time, then you are doing a good job of preparing them for college. 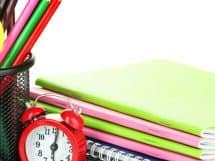 More about exactly how to go about that in a guest post I did here: 5 Ways to Guide Your Teen in the Art of Time Management. 5) Don’t always let them redo everything to get an A. This is one of my pet peeves with homeschoolers. Of course we want mastery, but if we always let the kid retake every test or rewrite every paper, they never learn to do it right the first time. I gave my kids B’s (and lower) when they deserved them. I think a transcript with all A’s is suspect. Yes, there are plenty of kids who earn them — but do they earn all A’s, or might there be an A- or two in there? Or even — gasp! — a B+? Every homeschooled kid is not an A student, y’all. Don’t try to pretend they are, just because you would like them to be. They won’t get the opportunity to redo things in college. If you are holding your teen accountable for the quality of their work the FIRST time, then you can know that they won’t be overwhelmed by the same expectation in college. 1) The SAT and ACT are good indicators of whether your child is ready for college. If the scores from these tests are rather low, you might want to consider some other type of career path. If the scores are average or above average, then your child has the ability to handle college-level work. This is completely objective, y’all. No homeschool mom bias here. 2) Colleges are aware that freshmen need help adjusting to college-level work and college-level expectations. Often there is an entire course during the very first semester that teaches the freshmen about study skills, time management, how to use the library, etc. There is usually also a huge support system for freshmen, from the RA on their dorm floor, to orientation small groups, to student mentors, and more. Many college professors who teach freshmen classes are more communicative when it comes to expectations and scheduling, as well as giving lots of feedback on assignments. Knowing this on the front end can help allay fears about your child being able to adapt. They are given every opportunity during that first year to learn everything they need to know. 3) And then there’s the consideration of what type of college you are trying to prepare your child for anyway. Sometimes I think we homeschoolers feel like we have to plan as if our child will be going to an Ivy League school, because if we shoot for anything less, we’re not measuring up to the “homeschool elite” out there who have been winning the national spelling bees and acing the honors courses and running their own businesses by age 18. Guess what? Most of us are ordinary. Most of us will be sending our children to the local community college or state school, or maybe a small private school. Those places will LOVE your homeschooled child. Or at the very least they won’t expect them to be a superstar of the highest order. It’s OK to have an average student going to an average college, y’all!! UPDATE: I felt so strongly about this point that I wrote an entire post about it here: The Truth About How to “Look Good” on College Applications. 4) THERE IS HELP. You are not in this alone! Check out my High School Homeschool Blogroll for a list of blogs that regularly write about homeschooling high school. Lotsa great information there. Then there’s my Facebook group, It’s Not that Hard to Homeschool High School, where you can ask any question you want and get wonderful feedback from many moms who have felt just like you. When you have support, it is SOOOO much easier to be confident in what you are doing! Great article Anne – especially the point about the importance of language arts. I’ve got three older kids (one just started university, one graduated and one nearing the end of a doctorate) plus one still homeschooling and I know I’m more relaxed with her since I no longer have those nagging doubts about whether I’m doing enough. Everyone can tell you it’ll be fine but until you experience it yourself you’re not convinced. Or perhaps that is just me! Thanks, Sandra! Yes, there’s nothing like actual experience to ease fears — but hopefully I can encourage some along the way! 🙂 Thanks for stopping by! It’s the strong language arts base that I’m afraid of…. my son is only 11 so we have time still but for the love of everything holy I really wish he’d start showing some real progress in reading comprehension and writing. We keep plugging away at it and I hope it will eventually pay off. These are really good tips, and it’s clear that you’ve prepared your kids well. As a longtime college professor at a big state school in the South, I’ve seen a number of homeschooled and non-homeschooled students come through my classroom and I would add just a couple of things. 1) Try to ensure that your kid is familiar with a range of historical and literary topics. I think this may be more of an issue with the “un-schoolers,” since many homeschoolers I know use a set curriculum for at least part of their schooling. But I do find that kids who did not get a traditional public/private high school education are more likely to have very deep knowledge of one or a few topics (the Napoleonic Wars, Charles Dickens, etc.) but gaps in their knowledge concerning important context relevant to those topics, historically or culturally (French Revolution, Corn Laws, Chartism, Elizabeth Gaskell, Wilkie Collins, etc). Some students don’t even have a good sense of what general period comes before/after what (and that is regardless of what kind of schooling they’re coming out of). There’s real value in the “survey” as well as in the “deep dive.” Make sure your kid can do both, because the dive won’t be thoughtful or accurate if his or her overall GPS hasn’t been calibrated. a) does your comment show that you are well-prepared? c) can you connect your comment to the comments of others around you, and link to the discussion at large, building on previous threads, or are you off on your own somewhere ignoring the rest of the class? d) can you leave room for others to speak as well or do you monopolize the room? e) can you take criticism of your reading of the text and adjust your argument accordingly, to make it stronger? [e.g. not just get defensive, but consider other approaches to the text. This might take the form of acknowledging their position, “It might seem that X, but in fact Y, because Z”]. A skilled discussant is different from a skilled debater, in part because in a discussion you have to press your position but without the oppositional, antagonistic mode; in fact, the possibility of agreement should always be there (though not necessarily a goal! Things are not always that simple). Anyway, when I write letters of recommendation for grad school, law school, etc. I always address the student’s powers and abilities in discussion as well as in written work. In my experience one very often reflects the other, and students who’ve had particular difficulty of this sort in class discussion — to the extent that I need to advise them about it — have often come from non-traditional schooling. But one does not have to go to school in a large classroom to learn this stuff. Discussions in a big family might very well help students prepare for classroom discussion with their peers, especially if parents are attentive to the parallels. I’m an educator. Only time I’ve ever seen a retake allowed is in a math course when the student fails the first time. He was allowed to retake the next day, and then the grades were averaged, not replaced. If the child scored a 40% the first time and an 80% the second time, the recorded grade would be 60%. This system encouraged better studying while still promoting mastery and not inflating grades. Please, find other ways than retakes for attaining mastery. 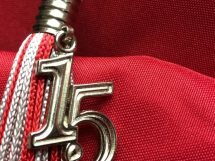 High grades are part of the reward fora job well done. Low grades are part of the reward for a job poorly done.